Thousands of passengers scheduled to fly out of Charlotte Douglas International Airport, in North Carolina, on an American Airlines-operated carrier became stranded on Thursday night after the airline suddenly canceled all remaining flights. PSA Airlines, a regional carrier for American Airlines, reportedly experienced a “technical issue” that led to the cancellation of 275 flights on Thursday and 400 on Friday, a representative for the airline confirmed to Fox News. “We never want to disrupt our customers’ travel plans, and we are sorry for the trouble this caused. Customer relations will be reaching out to all of those who have been impacted by this issue. Customers are encouraged to check their flight status on the American Airlines app or at aa.com before heading to the airport,” the airline added. PSA’s cancellations reportedly impacted other area airports as well, though Charlotte Douglas International appeared to be most affected. 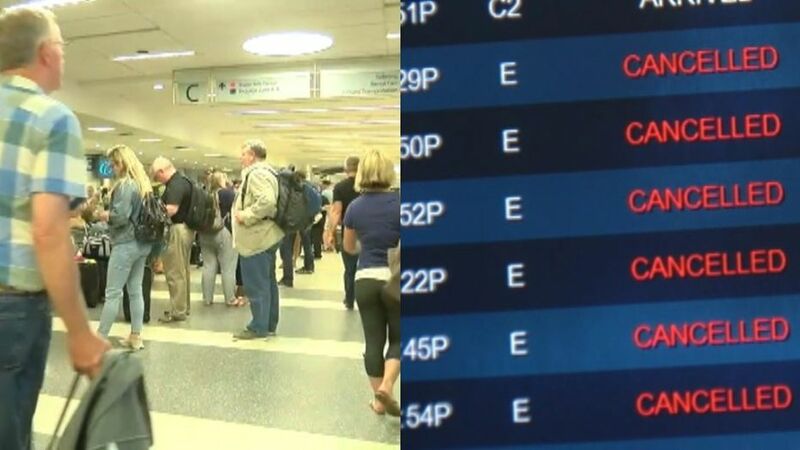 As a result, thousands of passengers were left to wait overnight for the airline to resume operations, or to be re-accommodated on another flight, the Charlotte Observer reported. WSOC further reported that a school group from Ohio was among travelers forced to sleep on the ground after waiting around for six hours. Other fliers were outraged over the cancellations, with some taking to Twitter to vent their frustrations. American Airlines and Charlotte Douglas International Airport both tweeted that operations would be resuming at noon, though both urged fliers to check the status of their American Airlines flights before leaving for the airport.